Was going to post this yesterday but my headache took over last night and caused an earlier than usual bedtime, so my priorities shifted. In case you’re wondering why my sheets look different, I was doing laundry at the time. The circles so far, connected. 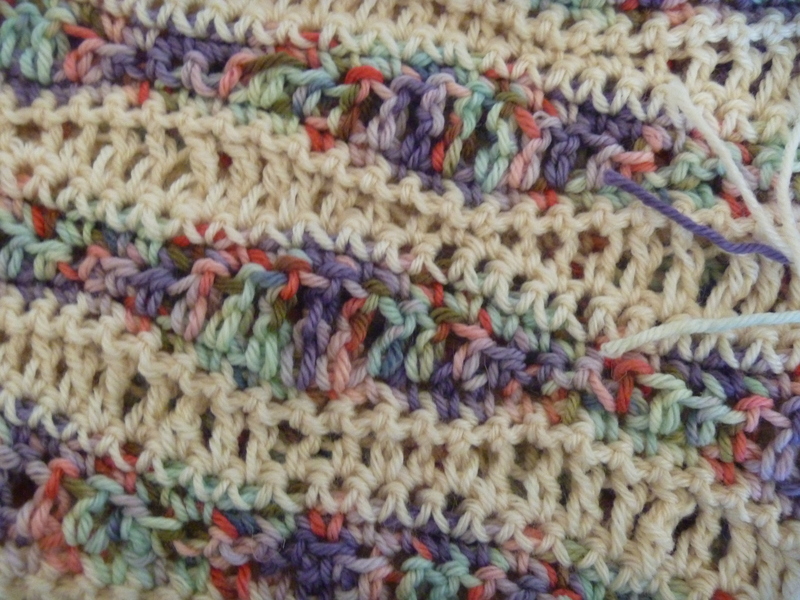 Haven’t bothered to weave in the loose ends just yet. 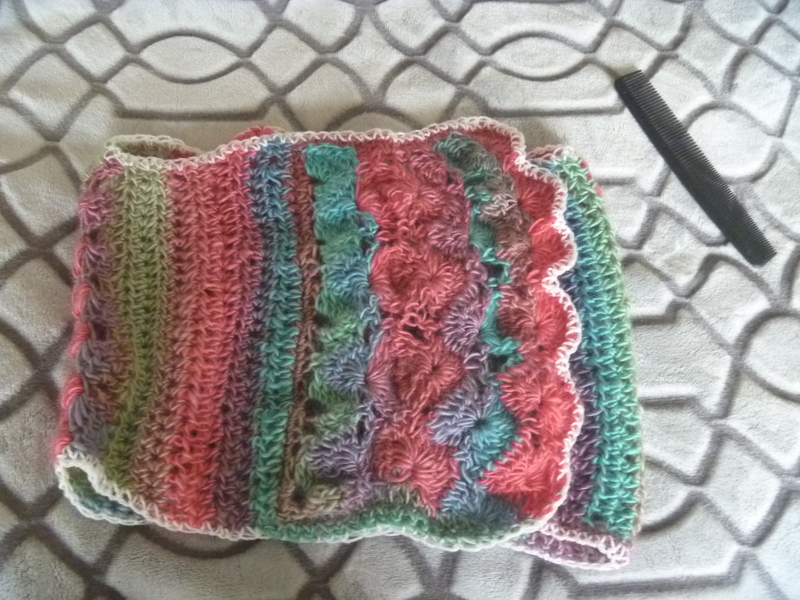 Started this shawl or wrap last week, after finally deciding what to do after the constant starting and undoing of the yarns. Basically, I took out one of my books and just winged it using one of the stitches. 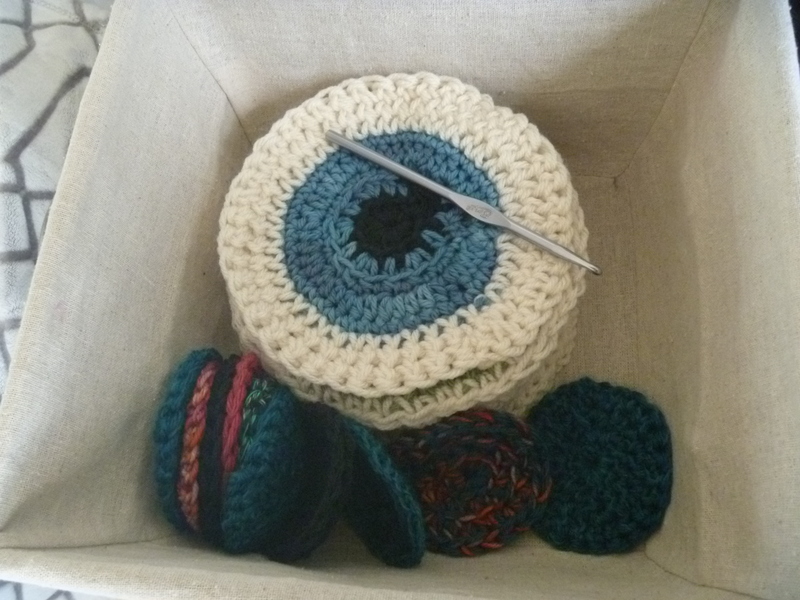 The container, I had it in, had two crochet hooks and so have no idea when I switched up to a bigger hook. Worsted weight yarn barely fits in the crevices of the weaving loom but still works. I’ve had this sitting around for a while, with just the pencil on paper, in a pile. 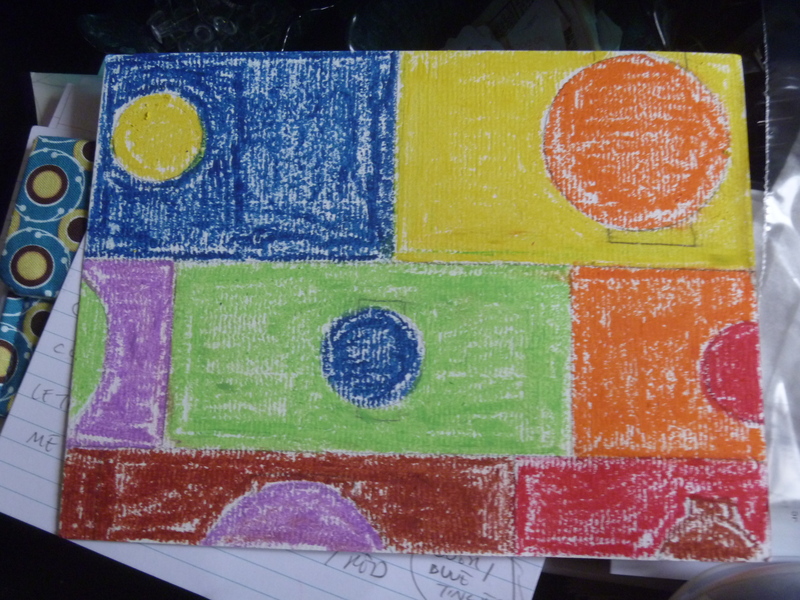 Had recently remembered there were oil pastels and coloured it. The pencil is still visible, although I should have just outlined everything again with black ink. This would look interesting as a quilt or blanket. 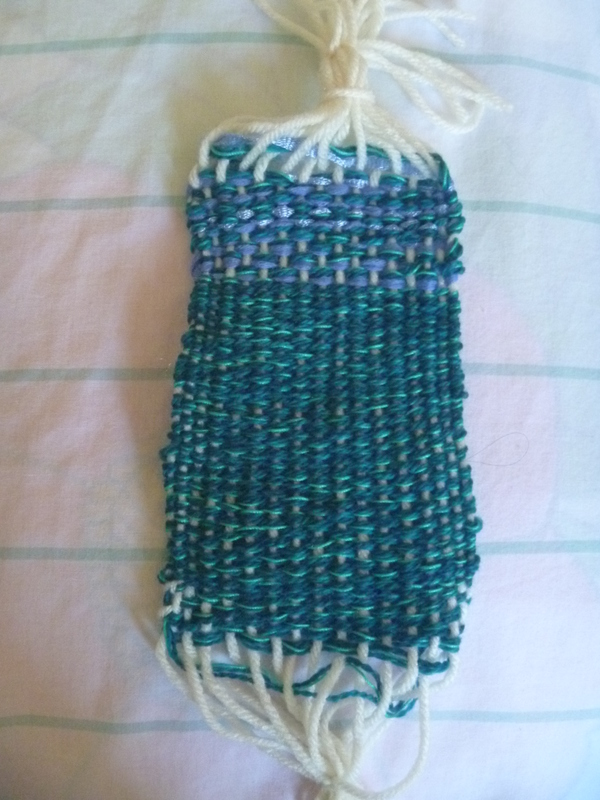 Third weaving. Still have no clue what to do with the ends. On Twitter, someone suggested to put beads on the ends. One on top and sprinkle some on the lower ends. Would have to put tiny beads because I didn’t account for doing that this time around. After a few more, I want to put them all in a glass frame. 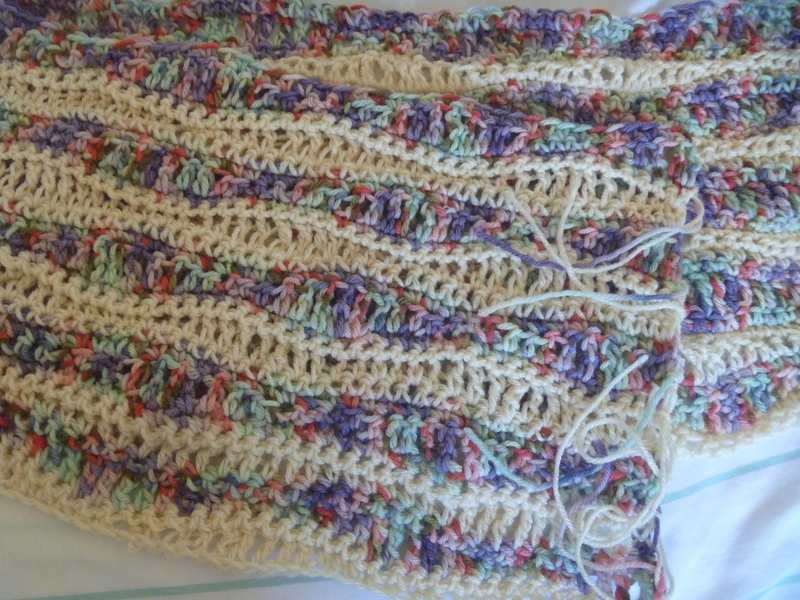 This is the scarf with the wonky ends finished. Starting on the white edging around the circles before connecting them. A day late and a quick entry so I can get back to what I’m doing. 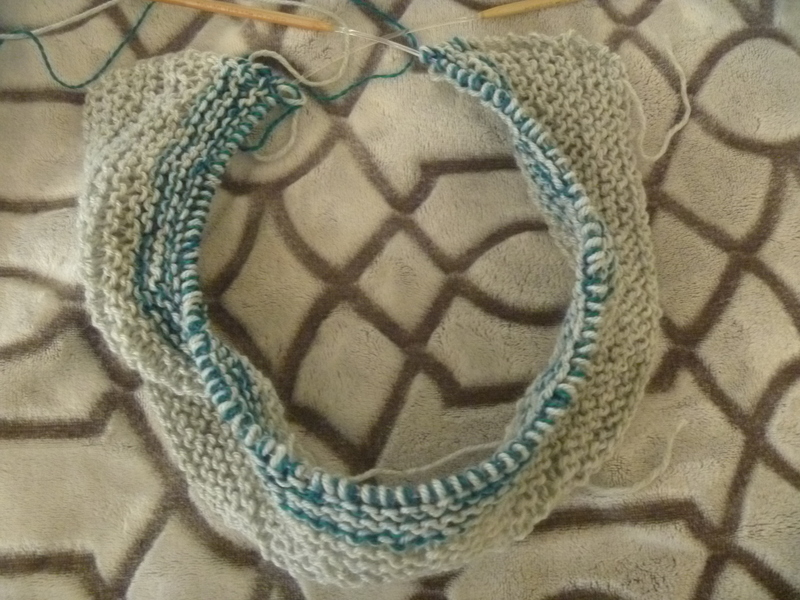 Finally starting on the second sleeve for the sweater. Hopefully they match when I attach both to the body. Had some beads lying around so just put them together on wire. 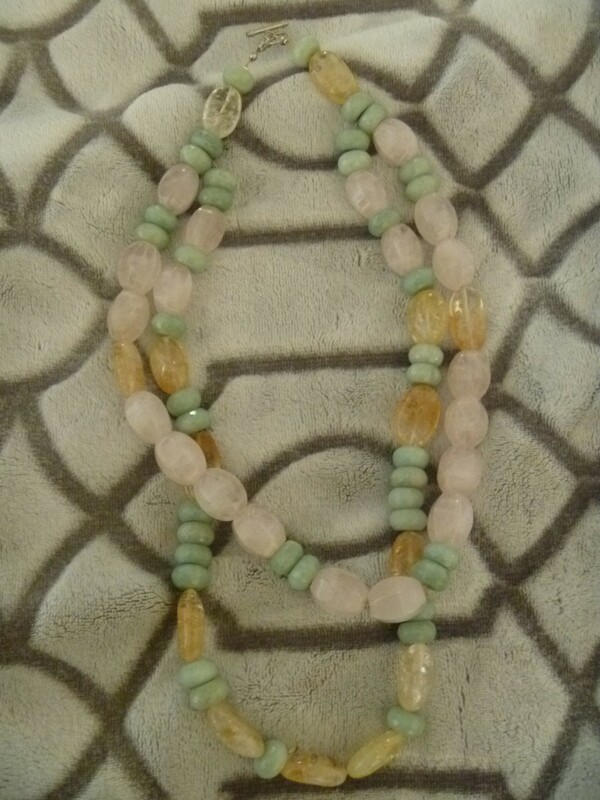 The rose quartz is heavy compared to the jade and citrine(?). 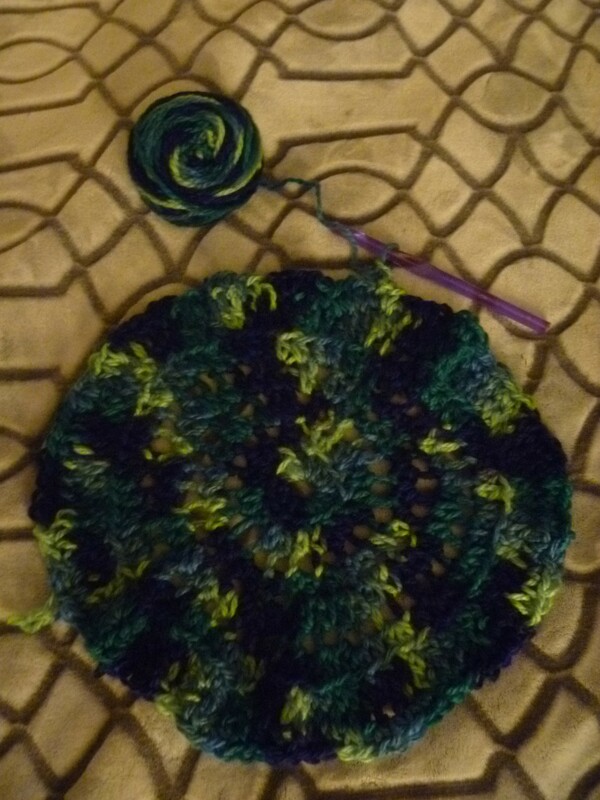 Had a small crochet blanket that I didn’t like, so reusing the yarn to make another circular rug. Fuzzy yarn and leftover of the GGH Milano for the second weaving. Still not sure how to secure the bottom. Meet Mr. Turtolini. Still needs a top hat and bow tie, though. 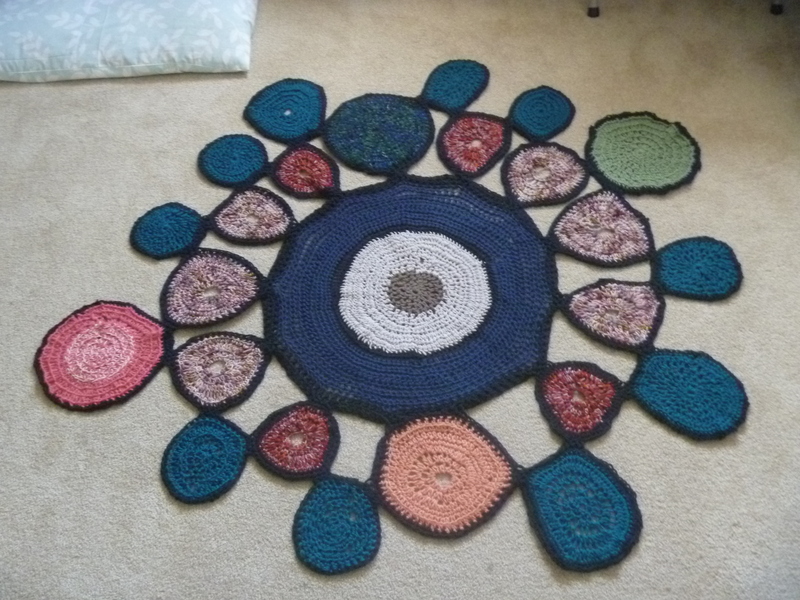 I finished the second row of circles for the rug. 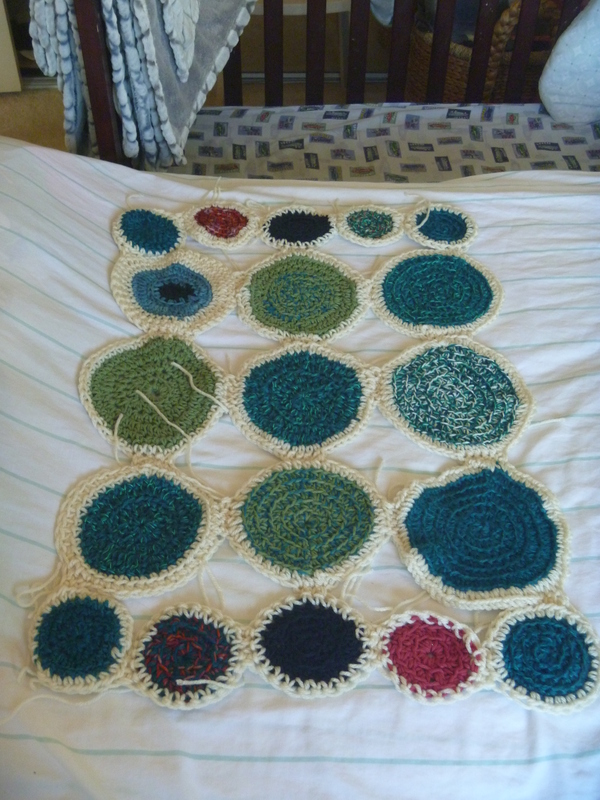 Some of the circles became other shapes after attaching the second to the first row. I wish it was more symmetrical but it looks pretty decent. 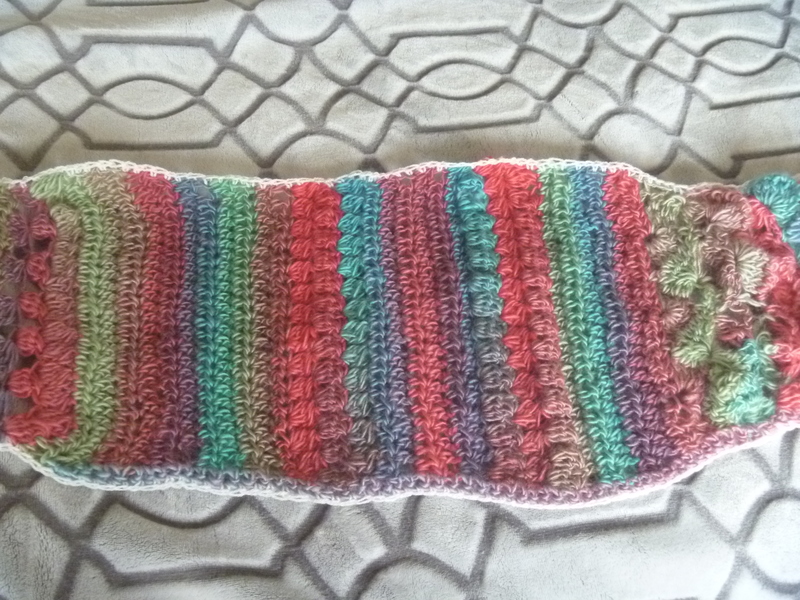 The green circle on the right was made with a different yarn before, and didn’t look right to me, but I changed it today. 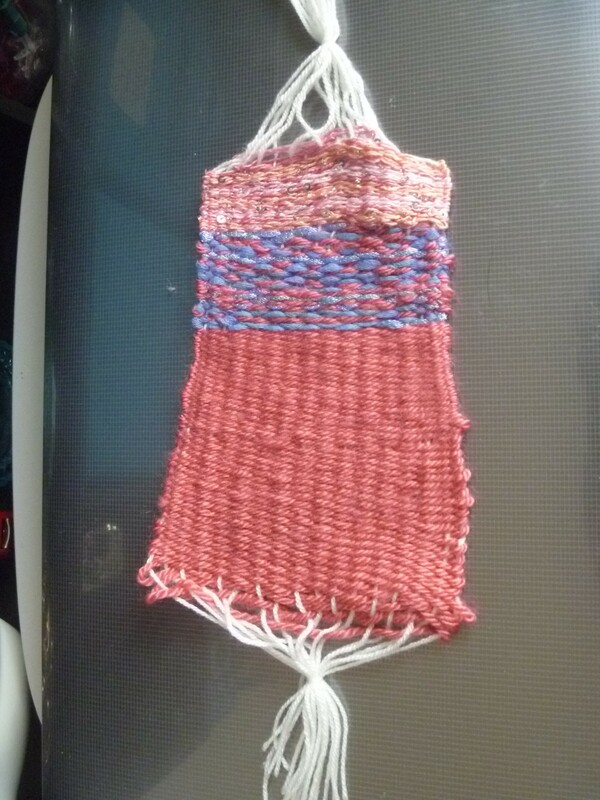 This is my first time using the small weaving loom. Except for the warp thread, everything else was supplied in the box. I have no idea how to secure the bottom and it’s just sitting in a drawer. You’ve seen this rectangle of white before, while it was smaller. I made it bigger and made a huge border, before attaching it to an empty frame, with the parts that fold down to hold the back in place. (I have no idea what the bits are called.) 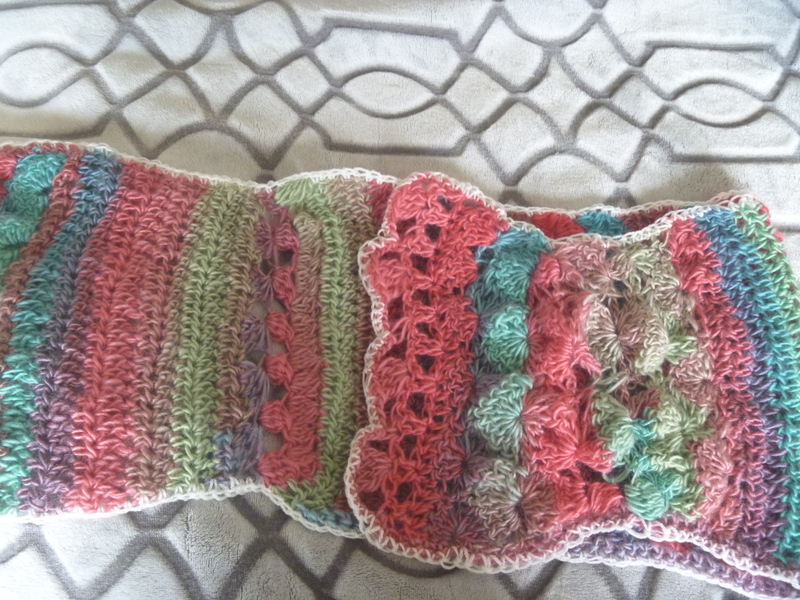 It is still loose and might have to nail down more of the crochet. I have no idea what I am going to put on this, but I’ll think of something. More of this knitted top. You can see the hole in this picture. Can I just be crowned “World’s Slowest Knitter” already? 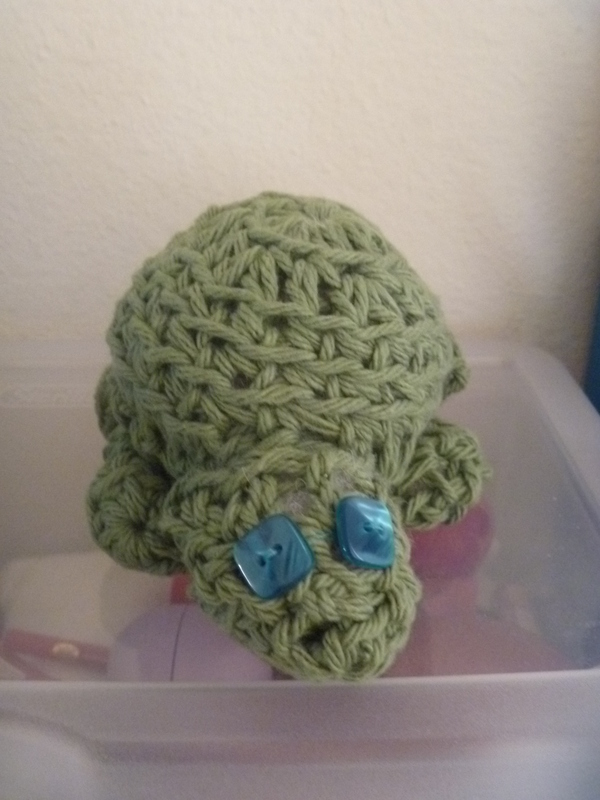 I guess I needed to crochet a turtle, when originally wanted to knit a tea kettle. I’m currently stuffing it then I’ll put on some extras to give it a personality. You’ll meet him or her next week. 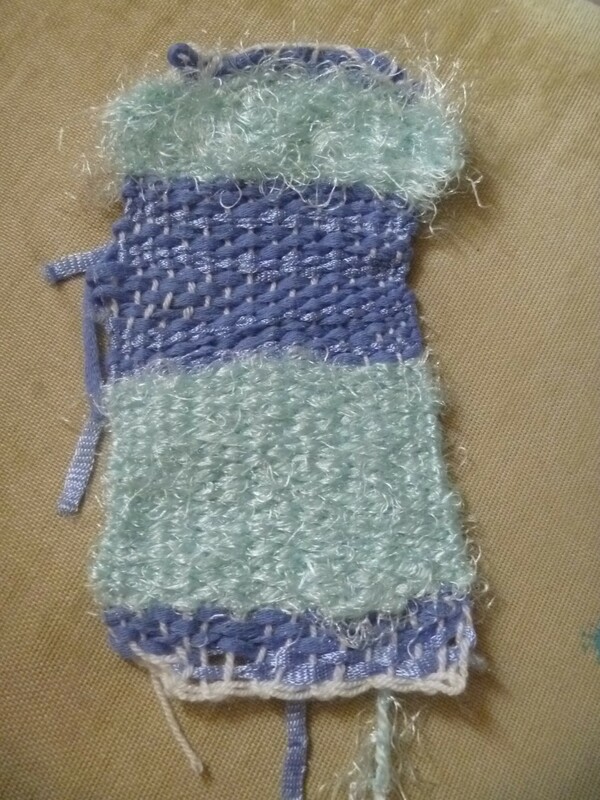 [I did finish sewing up a couple of bags but the stitching is so horrible, I didn’t want to post them here.